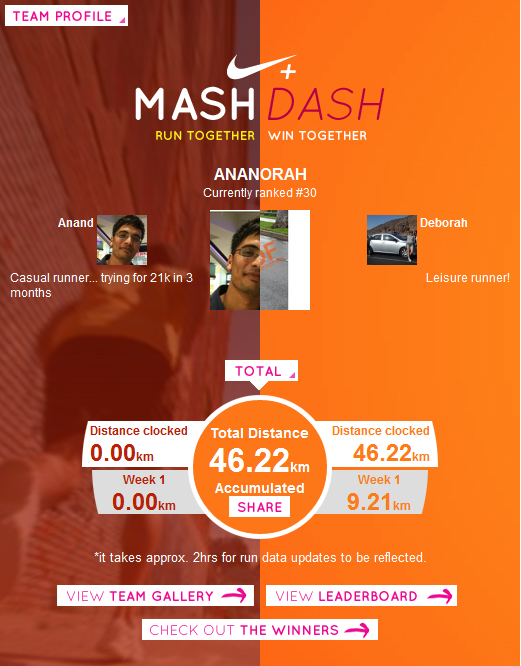 mashdash- nike randomly pairs you up with another runner, at the end of 6 weeks.. if ur pair runs the most, ya win an all expenses paid trip to SF to take part in a nike marathon!!!! and every week there are cash vouchers and prizes!! This entry was posted in Uncategorized and tagged mashdash, nike+. Bookmark the permalink.